Los Angeles (AFP) - Sergey Kovalev says he's learned from his mistakes and will avenge his knockout loss to Eleider Alvarez when he takes on the Colombian n Saturday in Frisco, Texas, for the WBO light heavyweight world title. Alvarez seized the World Boxing Organization belt from Kovalev on August 4. 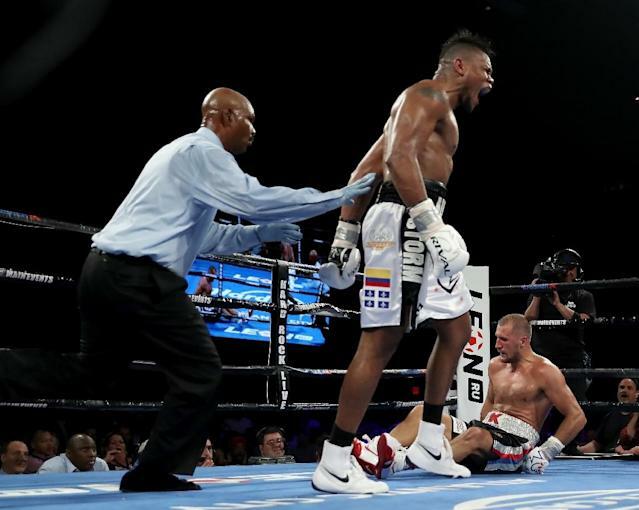 He was trailing on every scorecard, but knocked the Russian down three times in the seventh round to win his first world title. Kovalev said he ran out of steam because of over-training for the fight, an error he hasn't made under new trainer Buddy McGirt. "Yes, I made a mistake, but this time I will fix it," Kovalev said. "I didn’t have enough gas, enough power. It was like something was wrong with my body. "I always push myself more than needed and that was my biggest mistake in my boxing career," he said. "Buddy has taught me a lot -- saving energy for the fight and I listen to him 100% on his recommendations and I follow his instructions." Kovalev, who fell to 32-3 with one drawn and 28 knockouts with the loss to Alvarez, said McGirt and strength coach Teddy Cruz have given him a well-rounded build-up to the bout. "I had coaches, but they didn't help me with my boxing or my conditioning or anything," he said. "Everything I did myself. I am happy that I started working with Buddy and he has reminded me of my amateur style and using a lot of boxing – not the goal to knock somebody out, but boxing. "We have been working on defense, too, and with the shape I am in on Saturday it will be very interesting. "The last fight, he got lucky." Alvarez, 24-0 with 12 wins inside the distance, is out to prove that isn't true. "I believe that's excuses he's making," Alvarez said. "When you lose, you have a lot of excuses. I had a great game plan with my team and he said it was an accident. "Well, he's going to have another accident Saturday."